Among the islands populating the Caribbean that draw tourists and investors, the Turks and Caicos Islands are a rising star in real estate investment. The islands, some of which remain uninhabited, showcase the absolute best of the Caribbean, beating out more popular destinations for its expanding development, pristine beaches and rising property values. Investing in land and real estate is a brilliant way to develop your legacy and diversify your portfolio. For Europeans, Canadians and Americans alike, the islands offer a wealth of investment opportunities and benefits. The islands are under British governance. Laws, holidays and even which side of the road you drive on is the same as you do in Great Britain, with the added benefit of no annual property taxes and no capital gains tax. In addition, land titles do not require insurance as they are guaranteed and protected by the Crown. Property investment is one of the most stable you can make. While stocks are likely to fluctuate in value or, at the very worst, disappear altogether, property values remain steady even in times of economic hardship. Additionally, property values in the islands have begun to increase. The island beauty combined with luxurious estates and neighborhoods offering increased privacy have drawn the interest — and investments — of the world’s elite, including celebrities. It’s unlike any other island. In addition to its graceful, world-famous beaches and crystal-clear turquoise water, Turks and Caicos reaps the benefits of its Caribbean location more than any other island in the area. There are two international airports situated on the islands of Providenciales (also known as Provo) and Grand Turk. Direct flights are available from London, Toronto, Montreal and major US cities. Unlike the Cayman Islands, Turks and Caicos has the beautiful weather while managing to avoid torrential downpours and poor weather during hurricane season. It has one of the lowest crime rates in the Caribbean, versus the Bahamas and Jamaica who unfortunately have criminal reputations. While land values have continued to appreciate, Turks and Caicos is still considered “cheaper” than Bermuda. Generate additional revenue. Homeowners in Turks and Caicos have the option to list their condos or villas situated on resort properties as rentals when they’re away. Properties here can garner $600 or more per night in rental fees, and are maintained by resort staff. While operating as a hotel of sorts, your Turks and Caicos home will generate additional income that can offset the cost of maintaining the property while you’re away. There are no income taxes on revenue generated from a property. It’s both popular and exclusive. Grace Bay Beach is consistently voted one of the world’s best beaches by Condé Nast. While The Turks and Caicos experiences an influx of nearly 283,000 visitors each year, the islands feature several exclusive and private neighborhoods away from the more popular tourist destinations. Whether you’re drawn to island exploring or relaxing in a Caribbean retreat, the Turks and Caicos Islands offers it all. 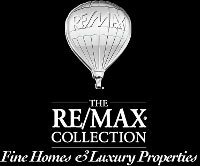 Turks and Caicos Island Real Estate, presented by the RE/MAX Real Estate Group, is currently listing properties across Providenciales. From resort condos to villas, estates and unadulterated land, you have an amazing opportunity to build a legacy for yourself and future generations. Learn more about the islands and our agents and contact us for more information.